If information is power, Rob Astorino has enough to shatter the administration’s media halo and send HUD officials slithering behind their stacks of regulations. Astorino is the County Executive for Westchester County NY, an upscale community north of NYC that is home to Andrew Cuomo, George Soros, Hillary and Bill Clinton to name a few. In the name of fair housing, HUD is now implementing the most abusive, property-rights-grabbing, local-rule-neutering regulation since our Founders cast off monarchical handouts for natural rights. When property rights are so easily severed, so too is the self-determination that creates future opportunities. In a move that opposes every tenet of American morality, HUD is using lawsuits, investigatory threats, and pitting community members against community members, all to complete the largest federal seizure of local authority and land use in our country’s history. Rob Astorino understands each nuance of HUD’s calamitous new direction and is not afraid to share the information. In 2009, the Republican won the Westchester County Executive seat from three time Democratic incumbent Andrew Spano. In a county where Democrats outnumber Republicans three to one, community members preferred Rob’s frank and cross-political message to his opponent’s rising property taxes and oily rhetoric. 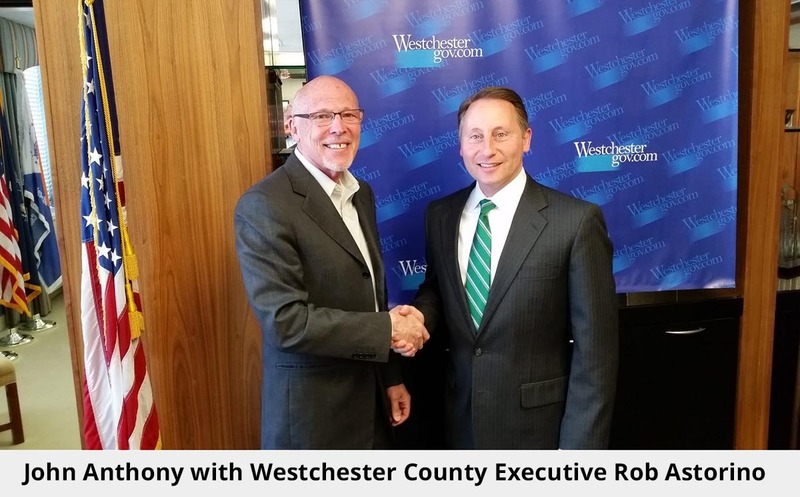 Astorino walked into a post-election, Cat 5 legal hurricane. At the time he assumed office, HUD had intervened in the settlement of a third party lawsuit against Westchester. The original suit maintained that, over the years, the county had made false claims in their application for HUD grants. The courts agreed Westchester had failed to “affirmatively further fair housing” and among other settlement requirements, ordered the county to build 750 low-income houses. HUD argued, “750 homes was only a start.” The county had to go “beyond the four corners” of the original agreement. They demanded that the affordable homes had to be located near better schools in affluent neighborhoods, that landlords could not question the source of renters’ incomes, and that the court should appoint an “independent” monitor to oversee each town’s implementation of the settlement to HUD’s satisfaction. True to their word to go “beyond the four corners,” in HUD’s mind the settlement settled little. When Astorino renewed requests for additional HUD funding, the agency continually redefined the “barriers” to fair housing. Though Westchester’s zoning laws never prevented anyone from living wherever they chose in any home they could afford, in HUD’s Newspeak, quarter acre plots and single-family homes were suddenly dubbed “exclusionary.” Not exclusionary because protected classes were prevented from living there, but because they could not afford to do so. Thanks to the Westchester case, HUD grant recipients must now endure the likelihood of high-density, low-income housing next to the finest homes and most “proficient” schools or face compliance reviews and costly litigation. Worse, there is little benefit to low-income families. Minorities and protected classes become government pawns, shuffled to distant towns where they have no relatives, no friends and little in common. One Westchester community of $800,000 plus homes had to interview over 900 applicants to fill just 65 affordable housing units. Low income families simply did not want to move into a new neighborhood that lacked the conveniences and relationships they already enjoyed. Astorino wants county and town officials across America to know, if you take HUD grant money, it will no longer be “business as usual.” Grantees will either comply with HUD’s overbearing hand as they redefine “discrimination” to satisfy the latest agency and planners’ whim, or face financial loss and lawsuits. In 2011 alone, HUD initiated more legal actions than in the entire previous decade. Meanwhile, the court monitor has requested the court muffle Astorino’s speech and force the county to take down press releases and posts exposing the extent of HUD’s effect on local communities. A petition is circulating to keep the executive’s voice strong and protect his freedom of speech. You can sign the petition here. Poor and middle-class American families have become the grist the administration’s machine grinds into compliance as HUD relentlessly consumes any hope they might find future success and independence. Local zoning laws, voters’ decisions and local rule become the agency’s wreckage. Rob Astorino is undeterred in his asymmetrical stand to expose the ultimate government overreach. Every local public official and municipal attorney who is considering accepting HUD grants must hear his voice.